Το Adriatico Arms Hotel, που βρίσκεται στη Μαλάτε, είναι το ιδανικό σημείο αναχώρησης για τις εκδρομές σας στη Μανίλα. Σε απόσταση μόνο 2km από το κέντρο της πόλης, οι επισκέπτες βρίσκονται στην κατάλληλη θέση για να απολαύσουν τα αξιοθέατα και τις δραστηριότητες. Με την βολική του τοποθεσία, το ξενοδοχείο προσφέρει εύκολη πρόσβαση στους προορισμούς της πόλης που πρέπει οπωσδήποτε να δείτε. Επωφεληθείτε από ένα πλήθος ασυναγώνιστων υπηρεσιών και ανέσεων σε αυτό το ξενοδοχείο της Μανίλα. Κατά την διαμονή σας σε αυτό το υπέροχο ξενοδοχείο, μπορείτε να απολαύσετε τα δωρεάν WiFi σε όλα τα δωμάτια, 24ωρη φύλαξη, παντοπωλείο, ημερήσιος καθαρισμός, υπηρεσία ταξί. Η ατμόσφαιρα του Adriatico Arms Hotel αντανακλάται σε κάθε δωμάτιο. Στην ιδιοκτησία θα βρείτε μοκέτα, λευκά είδη, καθρέφτης, πετσέτες, ντουλάπα, καθώς και πολλά άλλα. Εξάλλου, το ξενοδοχείο διοργανώνει πολλά ψυχαγωγικά δρώμενα έτσι ώστε να έχετε πολλά πράγματα να κάνετε κατά τη διαμονή σας. Ανακαλύψτε ένα ευχάριστο μείγμα επαγγελματικών υπηρεσιών και μια μεγάλη ποικιλία ιδιαίτερων χαρακτηριστικών στο Adriatico Arms Hotel. Good location,on site restaurant,good wifi and air con.Hot water could be hotter,but ok.Staff all very pleasant,efficient and capable and same for security gentlemen.I enjoyed my time here and would be happy to return one day ! Nice place, good staff and location. Would stay again . 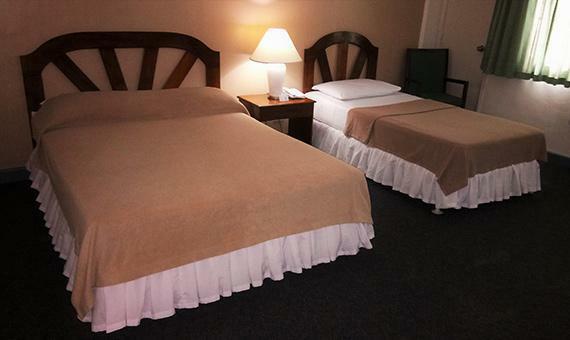 The room was very clean.Good size with a big bathroom, shower AND hot water. The water pressure was low,but good enough to take a shower.Friendly staff. Prices in the restaurant were high for my taste,but average for a hotel. Had a great stay at the middle class hotel. Very friendly staff. Our room was on the side of the street, therefore a bit noizy. After one night we were generously transfered to a more quiet room on the back side of the house. Thank you! Clean rooms and comfortable bed.. Bonus with clean carpeted floor. 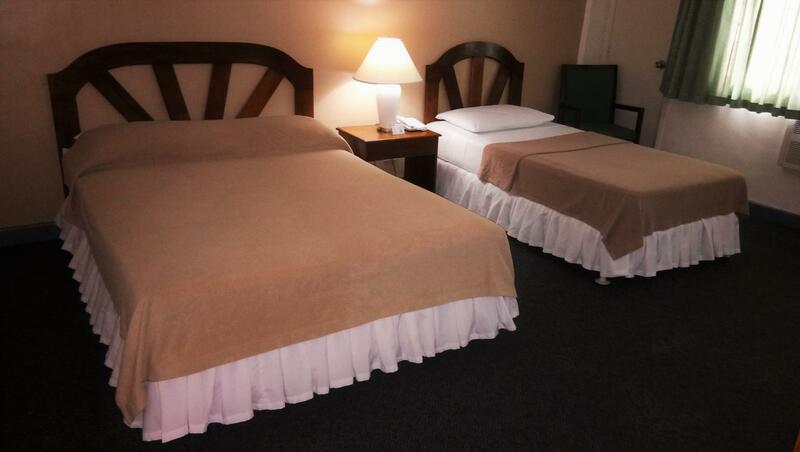 We paid more in other hotels with smaller rooms compared to Adriatico. 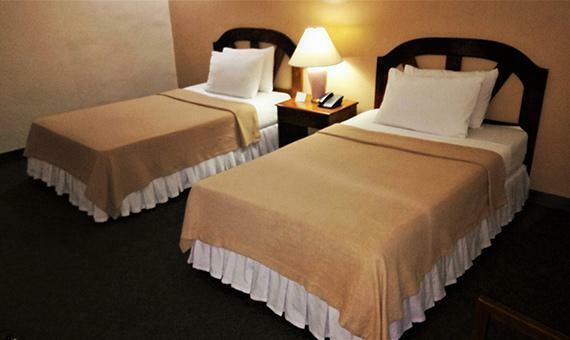 Close to many restaurants, bars, casino and Robinsons Mall. Staff were friendly and helpful. Will stay again.. This is for Room 300. Slightly larger than 302, this is a great room to stay in. Bathroom is EXTRA BIG. The cleaning staff are a crew of 4 girls who are in and out of your room in 15 minutes. Really efficient !! Clean sheets every day if you want, but we usually had them changed every 3rd day. No complaints on this room. This is for Room # 302, a very comfortable room. The aircon is OK, but a bit noisy. If you like "white" noise while you sleep, it's OK. The mattresses are quite comfortable, really good quality. Bring 2 extra multi-plugs for the bathroom (as there is only 1 usable outlet) and for the outlet under the TV if you want to use a laptop on the convenience table (TV & cable box use the 2 available outlets). If you need to buy one, the Handyman hardware store is nearby in the Robinsons Place mall. The only negative is the glass is missing from the bathroom window, a rather large opening.. You'll want to keep the bathroom door closed to preserve the cool aircon air in the sleeping area. My only concern are the towels. They need to throw away the old ones. 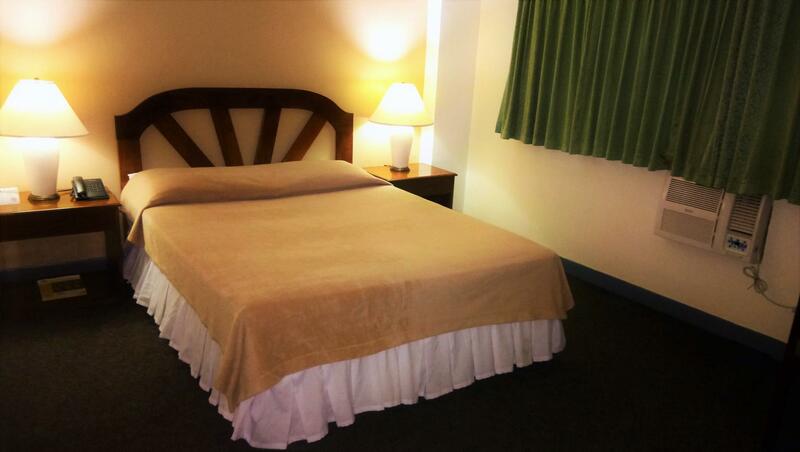 The place is accessible, very clean, staff very warm and accommodating, real value for money. Definitely will stay again and even tell my friends. What's great about this hotel is its location. 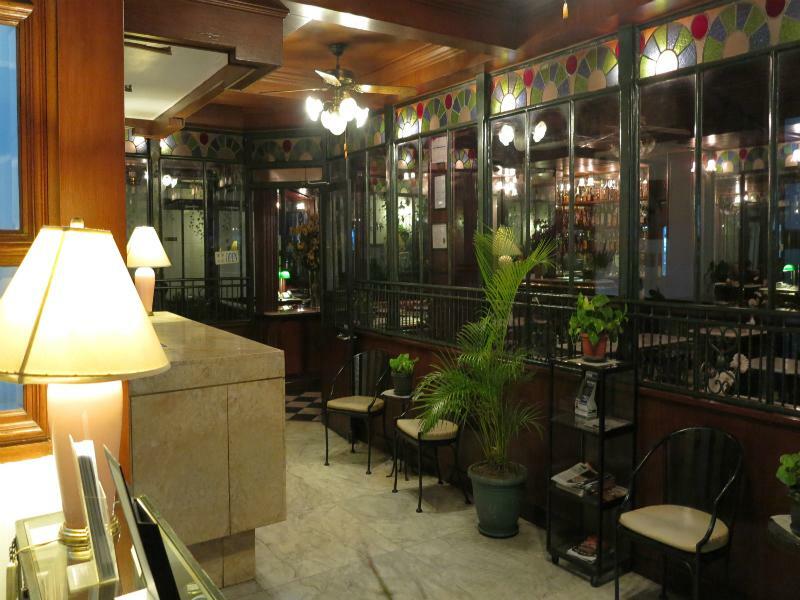 It is centrally located to everything one would be looking for while enjoying their stay in Malate, but at the same time it is not congested with people and traffic in front of the hotel. Great facilities! Nice and modern, and CLEAN. 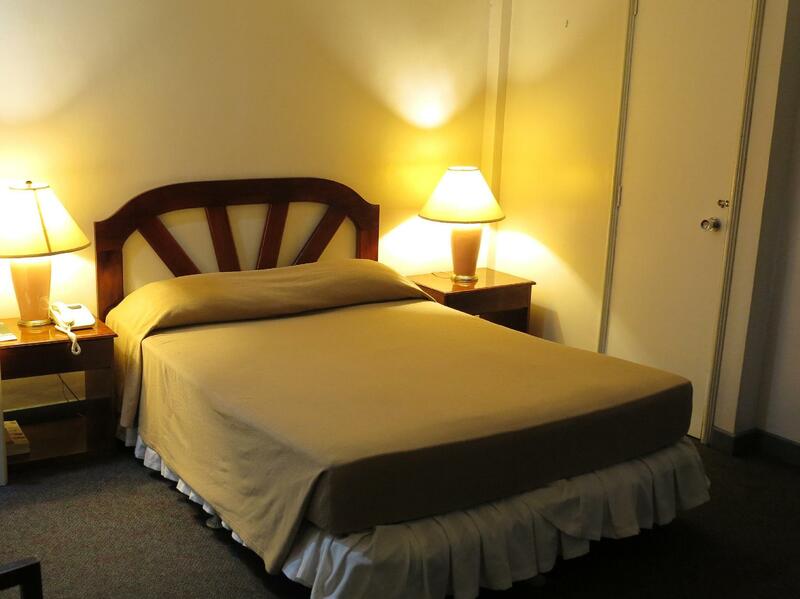 Spacious, beautiful bathrooms, clean beds, aircon, and wifi. The staff is really friendly and accomodating as well. The only drawback for some is that there is no elevator; something to take into consideration if walking up and down stairs could hinder you. Had a great time while staying here. Staff was very accommodating and friendly. Always courteous and helpful. Very quick to assist. Facilities were clean and location was very good. Walking distance to our office. Definitely going back to stay here in the future. I've stayed here twice. Upon arrival in Manila and now, a month later, on my way out. The staff is very friendly and the facilities are just my style. It's been around awhile but is in very good shape and well taken care of. The location couldn't be better, right on the street that never sleeps: Adriatico street. Also, check out the Adriatico Cafe, just down the street. The restaurant here serves very good food too. And, there's anything you want at the Robinson's Mall just up the street. I came back and will certainly stay here again if/when I return to Manila. Rented two rooms for family. Sheets on two of the beds had blood stains. After being gone all day, we came back to find that both rooms hadn’t been cleaned. New towels have been dropped off, but all of the used, wet towels were left on the floor. The location was great since its near a lot of shops and restos, with a 711 in the corner and Robinsons 10 mins away. Our room was big and so clean, hot and cold shower working. Staff were courteous, check in and check out less than 5 minutes. Downside they dont have an elevator so it is especially challenging if you have luggage set like we did because we stayed in the 3rd floor. But overall it was a good stay and we would be back. Good location..room is clean and spacious. Basic amenities. 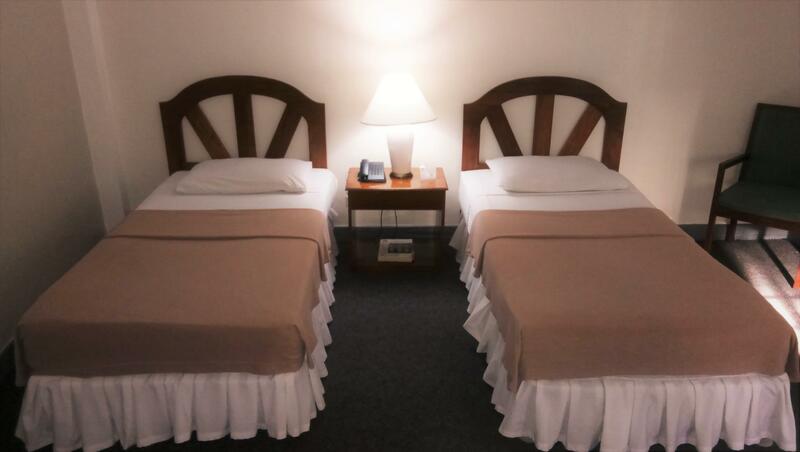 Nice hotel, staff friendly, Rooms are big and clean, comfortable bed and clean sheets. Good restaurant and bar. Will stay again and recommend to my friends. Σταθμός LRT Pedro Gil στα 0.58 χλμ.